Five petitioners against arrest of civil rights activists accuse the government of ignoring “serious doubts” raised over the motivation behind these arrests and overlooking even the “reservations of the higher judiciary”. 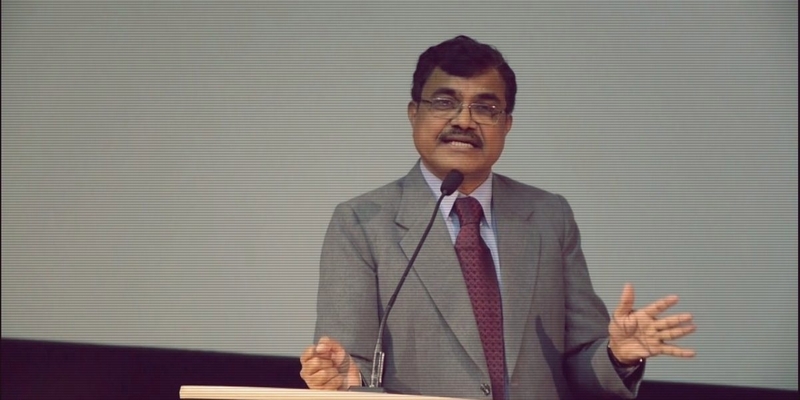 New Delhi: In the wake of Dalit scholar Anand Teltumbde’s illegal arrest by Pune police and his subsequent release, the five petitioners who had approached the Supreme Court against the arrest of the civil rights activists, have called the development a “mockery of constitutional guarantees, of due process and of democracy”. Teltumbde, who was granted relief from arrest until February 11 by the apex court was regardless arrested on Saturday after a Pune court refused to grant him anticipatory bail in a case related to the Bhima Koregaon violence. The court, however, called this arrest “illegal” and “in contempt of the apex court’s order” later on Saturday, and clarified that the civil rights activist still had the option of obtaining an anticipatory bail from Bombay High Court or the Supreme Court. In a press note released by activists Romila Thapar, Devaki Jain, Maja Daruwala, Prabhat Patnaik and Satish Deshpande, an appeal has been made to the judiciary to act on the “regressive trend that threatens to destroy India's hard-won democratic traditions”. "While the illegal arrest of Professor Anand Teltumbde by Maharashtra Police in defiance of the Supreme Court has been set aside for the time being, the fact that it occurred at all points to the break-down of rule of law within a government agency whose duty it is to uphold the law,” it read. The activists have accused the government of ignoring the serious doubts raised over the motivation behind these arrests and overlooking even the “reservations of the higher judiciary”. “Those who have been arrested will be incarcerated for years to come, judging by the fact that even the five "activists” arrested last year, spend month after month in jail without a proper judicial hearing. This is a well-known way of silencing citizens who express dissent or work towards establishing basic human rights, and suggests that the state is willing to subvert the Constitution,” read the press note. “It is time, therefore, for concerned citizens to build a broad-based, peaceful and constitutional resistance to such subversion of due process and abuse of authority,” it concluded. Many political leaders and human rights activists had stepped forward on Saturday to condemn Teltumbde’s abrupt arrest, terming it a blatant violation of the apex court’s order. The police had submitted a 'sealed envelope' to the court on January 30, which claimed to have important evidence in the case. While submitting this envelope, Special Public Prosecutor Ujjwala Pawar had claimed that it includes ‘the proofs regarding Anand T in letters found in the possession of others accused in the case’. After these arguments, the court had concluded that the ‘custodial interrogation of the accused is necessary’. Notably, the letters – which, according to the police, are evidence of Teltumbde’s links with the banned Maoist organisations – were recovered by the Pune police in August. However, until his arrest, the police have not even once called him for an enquiry. Previously, in this case, five activists – Shoma Sen, Mahesh Raut, Surendra Gadling, Rona Wilson and Sudheer Dhavale were arrested in June 2018. Subsequently, five more activists including Sudha Bhardwaj, Gautam Navlakha, Arun Ferreira, Vernon Gonsalves and Varavara Rao were arrested.